The Winchester Tourist Guides would like to promote their new lunchtime tours, which are perfect for workers in Winchester. 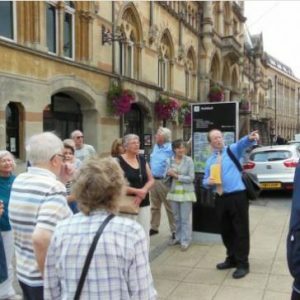 The tours focus on individual Winchester streets and last only 45 mins, so are ideal for local people who would like to learn more about their city in a lunch hour as well as getting some exercise. Some upcoming tours are listed below and all tours and information are listed on the Winchester Tourist Guides website.